NADA Show 2019 kicks off next week, taking place January 24-27 in San Francisco. The annual show brings together automotive industry leaders, manufacturers, exhibitors and other key players to learn the latest tools, tactics and industry trends, see the hottest new automotive products and technologies, and make important connections with one another. 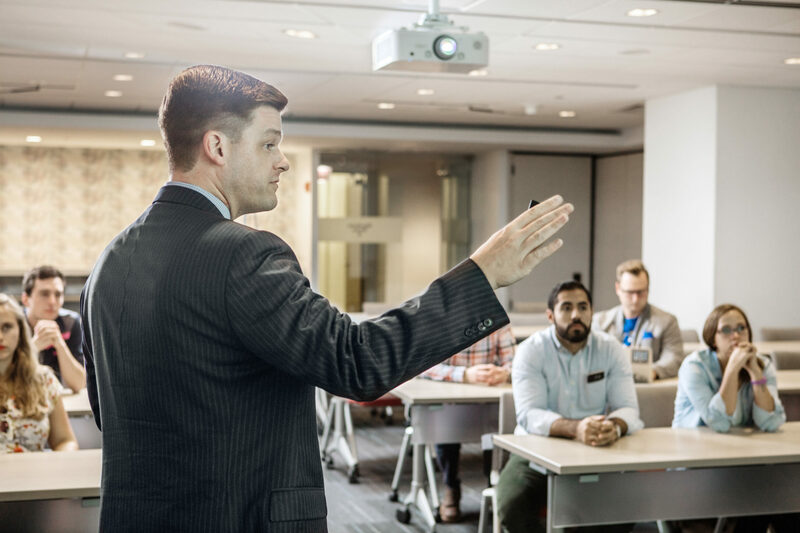 At this year’s show, Hireology co-founder and CEO, Adam Robinson will lead three educational workshops focused on helping dealerships attract and hire quality employees. Hireology powers hiring for 1 in 7 new car dealerships across the country and Adam has significant experience helping business leaders build great teams. Below, we’ve included overviews for each of Adam’s educational workshops. Time: Thursday, January 24, 4-5 p.m. Description: Fewer than 1 percent of today’s job seekers are interested in a career at a dealership, often because they have the misconception that a dealership career has limited job growth opportunities and lacks work-life balance. In this data-rich, fast-paced workshop, Adam will teach attendees how to build a compelling employment brand to help their dealerships overcome misguided perceptions and attract quality candidates. Time: Friday, January 25, 10:30-11:30 a.m. Description: Though employees represent a dealership’s largest expense, they’re also its main competitive advantage. But most dealerships don’t have mechanisms in place to measure their hiring success or repeat it. Adam will illustrate how to leverage insights to attract and hire quality employees. He’ll share an overview of key metrics dealerships should track to make hiring more efficient and increase profitability, and highlight dealerships that have improved their hiring through insights-driven decision making. Time: Saturday, January 26, 10:30-11:30 a.m. Description: Each day a dealership has an open service technician role it loses up to $1,200 in gross profit, as dealerships face challenges attracting quality applicants for tech and other key service positions. Adam will highlight key fixed-ops hiring insights from Hireology’s base of several thousand dealership customers and best practices for attendees to attract quality talent and drive profitability back to their dealerships. Are you attending NADA 2019? Join Adam’s workshops to learn how you can set your dealership up for success in today’s applicant-driven economy. And make sure to stop by Hireology at booth 3401S to learn about our latest solutions to help your dealership attract and hire your best team.